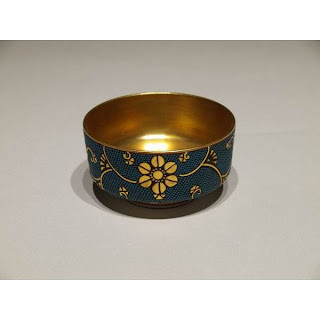 The pattern is called “Aochibu”. 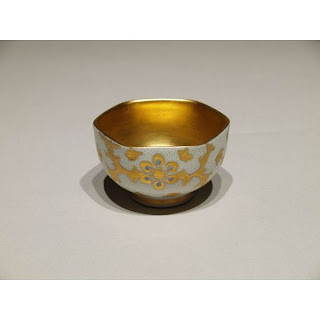 “Ao” means blue color, “chibu” means dot in English. 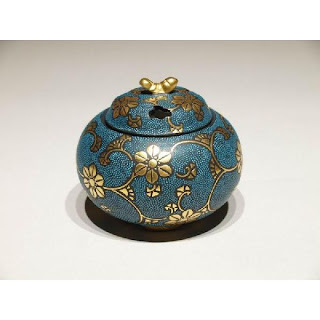 Aochibu has three colors of dots - blue, white and gold. Blue is the most popular. Aochibu was developed around 1910 in Kutani district. The dots are painted by hand, one by one. Some works have a swirly pattern. High skills are required to paint each unique dot size, color and shape. The Kingyoku family has developed the skills to the highest level. 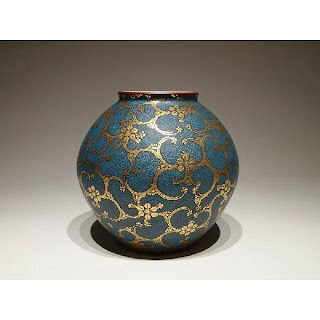 Second generation Kingyoku Nakata has become the best potter in Aochibu works.